Right after the success of their first organized fun climb to Mt. Melibingoy last month, the group called Friends of Holon and Mt. 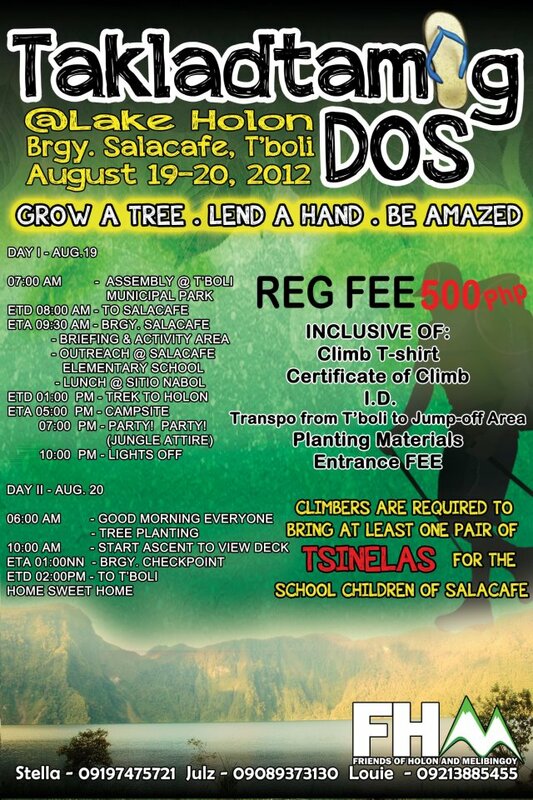 Melibingoy (FHM) is once again calling all mountaineers and outdoor enthusiasts to join them, this time in TAKLADTAMIG DOS! Be ready to see the wonders that can only be found around Lake Holon and Mt. 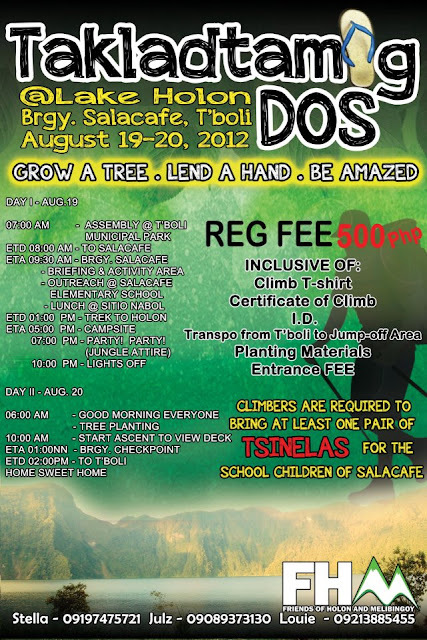 Melibingoy plus a chance to help in saving mother nature through the tree-planting activity. Participants will also have the chance to lend a hand to the less fortunate living in the area especially the children through gift-giving. More details at the event poster below.